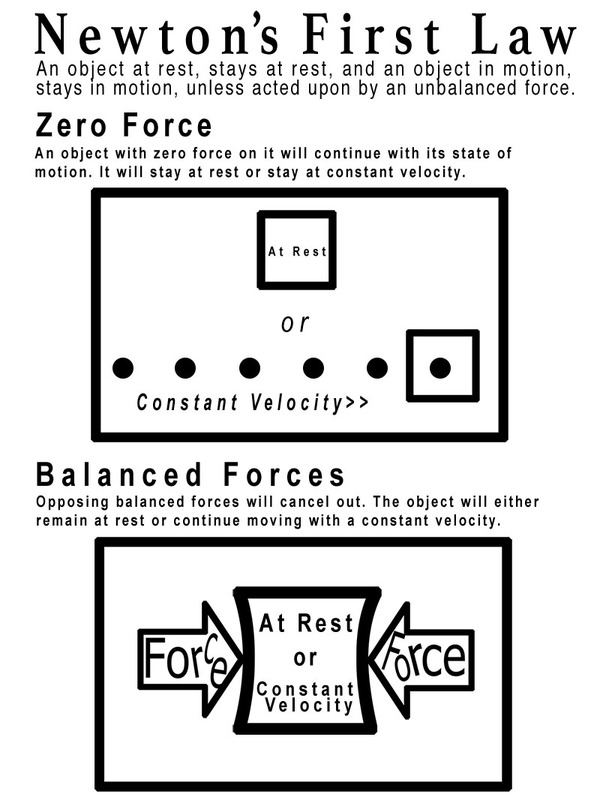 I am designing graphics that incorporate shape for my Game Programing Physics book as an assignment in my Graphic Design for Learning course at Boise State. I usually create a graphic and then just let the text wrap around it in an appealing way creating a shape for the image and shape for the text. This looks good in many cases, in my opinion, but I am learning that shape can and should also be used to teach the content. Shape can be used to organize material making it easier to understand and categorize information and it can also serve to illustrate ideas. I chose with my graphic to use shape to illustrate ideas. 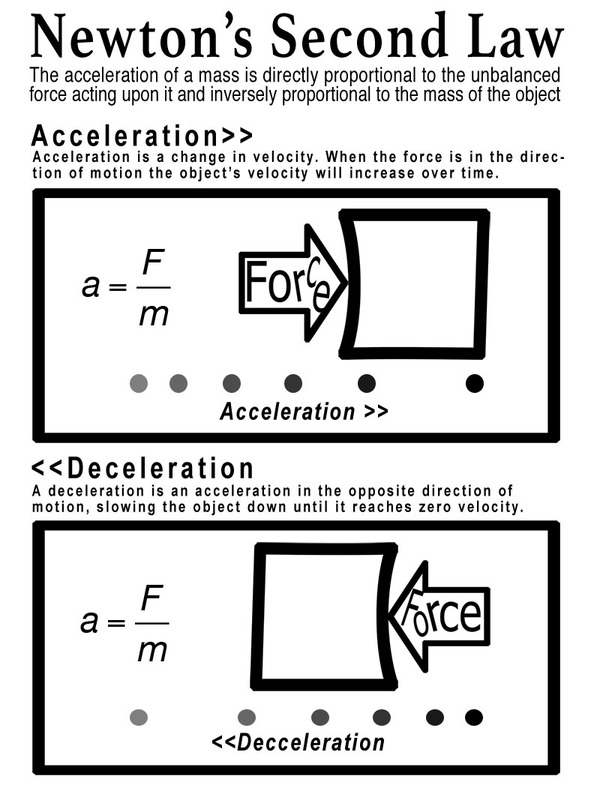 My main physics goals in this lesson is to teach Newton’s first two laws of motion. Newton’s laws are not simple concepts to understand. 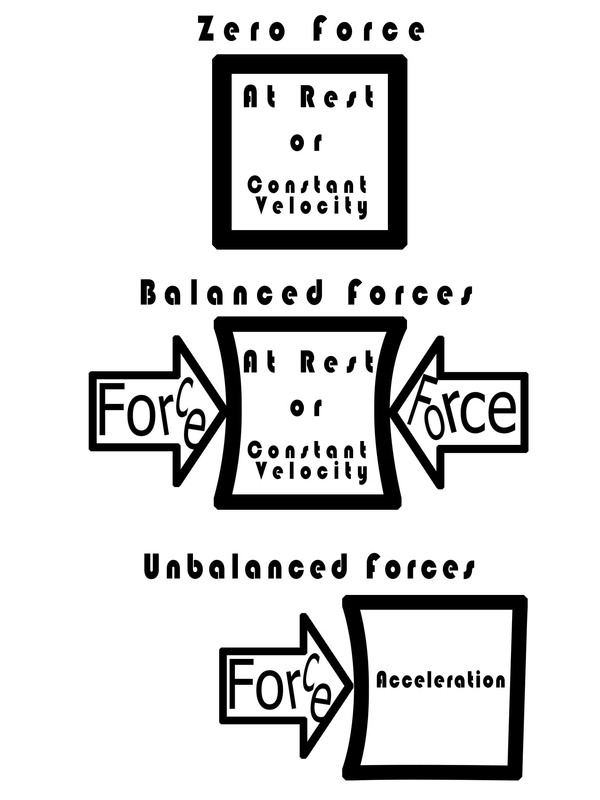 There is always much confusion among learners about the concept of balanced or unbalanced forces as well as the resulting motion caused by balanced or unbalanced forces. Through this exercise I have come to realize the value of having others interact with your work during the design phase. It takes me a lot of time to create one of these and I don’t really like to throw a lot of effort away. But sometimes you have to and it’s best to get input quickly so you don’t throw a lot of work away. My class text Creating Graphics for Learning and Performance by Linda L. Lohr states to “Get used to creating prototypes or quick copies of your work that you can get feedback on immediately.” The text also explains how many graphics, including examples of bad graphics in the book were originally thought to be good graphics before getting feedback from others (Lohr 2008, p. 38). This makes me feel better because I am still not happy with the graphics above. There is a theory of design called “Cognitive Load Theory” that states that “if the cognitive load for a student is too high, learning is not effective” (Lohr 2008, p, 51). I think the cognitive load is way too high in the images above and even worse, some things are not explained well. It’s funny, as I learn more about this I realize how little most physics textbooks care about these issues. Lohr, L. (2008). Creating graphics for learning and performance (2nd ed.). Columbus, OH: Pearson.